2017 has well and truly been the year of ransomware. With the WannaCry and Petya epidemics leading the charge, ransomware attacks have continued to become both more frequent and more destructive, with some industry reports noting the cost of ransomware damage in 2017 is on track to exceed $5 billion – some 15 times higher than the damage it caused two years ago. The good news is that’s not all doom and gloom. IT security products are getting more advanced and providing increasingly better protection against the ongoing ransomware threat. Of course, some security solutions are simply better than others – the challenge lies in separating the studs from the duds. To help you cut through the noise, we’ve rounded up the 10 most popular anti ransomware tools of 2017. An industry leader in the battle against ransomware, Emsisoft Anti-Malware is able – unlike other anti-ransomware tools on the market – to intercept ransomware before it even touches your data. This lightweight, intuitive product makes use of advanced behavioral technology to identify ransomware patterns and stop suspicious activity before it can cause any harm. Better yet, you also get Surf Protection and a real-time File Guard to ensure no malware can get close to your most precious files. Emsisoft users are automatically protected against both existing and emerging ransomware threats, but the company’s dedication to eradicating ransomware doesn’t end there. Emsisoft also offers an extensive database of free decrypter tools (40 at last count and growing) and are an associate partner of No More Ransom, a project committed to helping ransomware victims regain access to their data without having to submit to the criminals’ demands. Price: Free 30 day trial. $39.95 for one computer, one year. Decrypter tools are free. With more than 170,000 new ransomware variants appearing in the first half of 2017, you can never have too much choice when it comes to decrypters. If ransomware did happen to slip past your defenses, it’s worth checking out Trend Micro’s handy Ransomware File Decryptor. 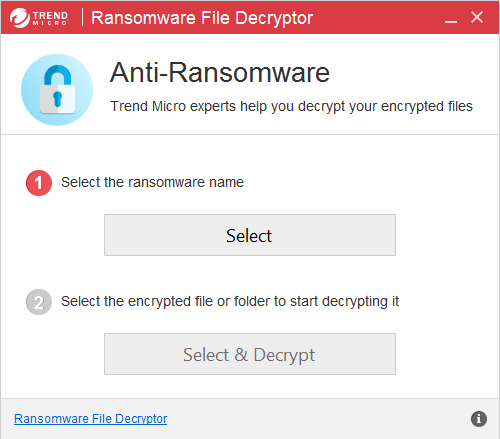 Essentially a free bundle of decrypter tools, Trend Micro Ransomware File Decrypter is a valuable asset if you’ve already been infected and are looking for a way to remove ransomware from your machine. Contrary to similar offerings from other companies, Trend Micro has chosen to package all their decrypters into one download file, but you’ll still need to specify the type of ransomware you want it to decrypt. Trend Micro Ransomware File Decrypter currently offers decryption tools for 27 ransomware families and, while the solutions aren’t always perfect, the team is always working to improve the product. Phishing email scams are the most popular ransomware infection vector due to how easy it is to dupe unsuspecting users into opening dodgy attachments. While some email clients do an okay job of filtering out some malicious emails, many ransomware-containing messages are still able to weasel their way into your inbox. That’s where RansomSaver comes in. This little tool sits on top of Outlook and scans new and existing emails to see if they contain any potentially dangerous attachments that may be hiding malware. If the tool finds something suspicious, it moves it to the ‘RansomSaver’ subfolder (found under ‘Deleted Items’) where it can be retrieved if you have reason to believe it’s a false positive. 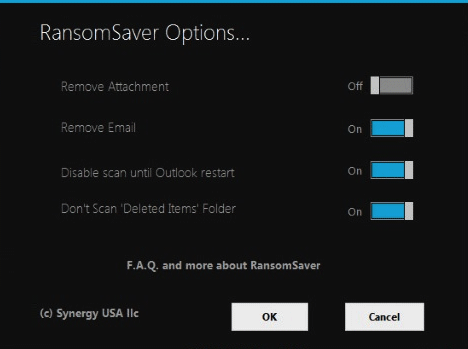 If you’re a savvy user and are already quite cautious of what you click on, you may not find RansomSaver to be too valuable, but less experienced users will appreciate the added set-and-forget protection. 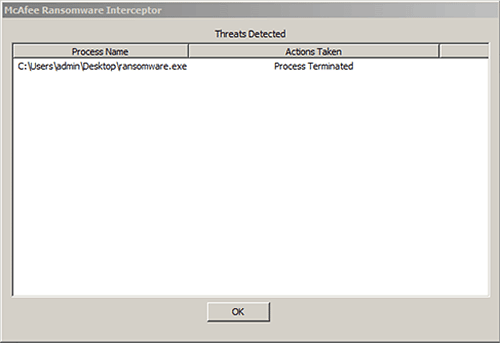 ZoneAlarm Anti-Ransomware is a relatively new tool. As the name implies, this is a ransomware specific tool and is designed to run side by side with antivirus software that doesn’t have dedicated anti-ransomware protection features. 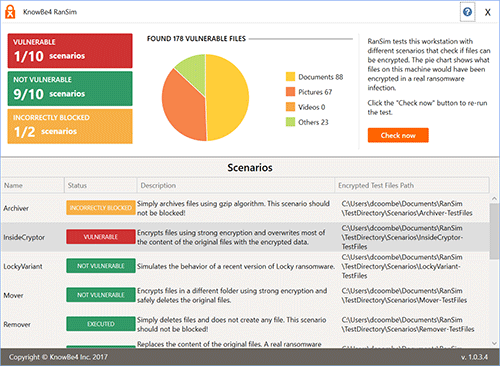 ZoneAlarm Anti-Ransomware takes a two-pronged approach to ransomware, using behavioral analysis to identify and stop ransomware, and Smart Backup technology to restore any files that have been changed during the attack. This sounds good on paper, but third-party testing has shown it can occasionally be a little slow to react when attempting to terminate ransomware, which can result in your files being encrypted. However, this is still a new a product, and it’s likely that ZoneAlarm will iron out these kinks in the months ahead. It’s also worth noting that ZoneAlarm Anti-Ransomware boasts a very (very) straightforward UI. While some people will appreciate the simplicity, others may find the total absence of configuration options a little inflexible. Price: Free 30 day trial. $1.99/month for one computer. Regardless of how good your security setup is, it’s important to have a contingency plan to fall back on in case something manages to sneak past your defenses. With ransomware, the most effective Plan B usually takes the form of regular backups. Should you ever happen to sustain a ransomware infection, you can simply revert your system to an earlier, ransomware-free state. Acronis embraces this philosophy with open arms. 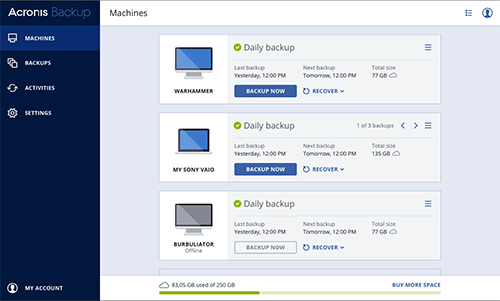 In addition to providing a safe and powerful backup solution, Acronis Backup Cloud also features Active Protection, a robust anti-ransomware behavioral technology that’s compatible with most antivirus products. If the software identifies malicious encryption activity taking place, it stops the process and restores the files that have been encrypted. GridinSoft might not be a household name for most people, but the Ukrainian software house has quietly been working away in the IT security field for more than a decade. The company recently released GS Anti-Ransomware, a free anti-ransomware tool that is currently in beta. Designed to be as unintrusive as possible, the app runs in the background to provide real-time protection against encryption attempts. There’s little technical documentation available, so it’s difficult to say exactly how GS Anti-Ransomware’s protection engine works, but the developers assert it prevents data encryption from the major ransomware families. However, as the software is still in development, it’s a good idea to use GS Anti-Ransomware as a supplementary security tool rather than relying on it solely for protection. 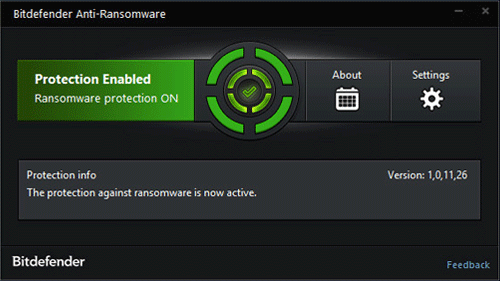 Bitdefender Anti-Ransomware Tool takes a somewhat unique approach to ransomware. Rather than attempting to provide proactive, zero-day protection against all forms of ransomware, the tool only protects you against four specific ransomware families: CTB-Locker, Locky, Petya and TeslaCrypt. It achieves this by ‘vaccinating’ your system – that is, convincing the ransomware that the machine has already been infected, thereby preventing a real attack from occurring. This makes Bitdefender Anti-Ransomware Tool an excellent choice for preventing infection from any of the aforementioned ransomware families. However, it does not provide protection for any ransomware outside these specific families. As such, it’s best to think of this as a supplementary tool, but it can not be considered a comprehensive anti-ransomware product. A long-standing player in the industry, McAfee’s recent split from Intel has allowed the company to once again turn its attention to the threat detection game. This has culminated in the release of McAfee Ransomware Interceptor, an easy-to-use app that promises to be a useful asset in the fight against ransomware. Do keep in mind that McAfee Ransomware Interceptor is a pilot app, meaning it’s more of an experimental tool than a fully fledged security solution. The product is not fully supported and you can expect to run into the odd performance hiccup here and there. For example, early reports indicated its behavioral monitoring system had some issues dealing with simulated attacks, but given that this is a pilot product it’s likely we’ll see these flaws resolved in the future as McAfee continues to hone its latest offering. Many cybercriminals rely on social engineering to trick users into opening malicious files. This is often a very effective method due to the simple reason that people – unlike machines or software – are prone to psychological manipulation. What will happen to your business if an employee happens to inadvertently click a dodgy file? KnowBe4 RanSim can be used to answer that very question. The app simulates 13 ransomware attacks resembling ransomware such as CryptoLocker, Locky and Thor on your system to show how your network would hold up in the event of a real attack. While the simulation is completely harmless and it does not encrypt any of your files, it can be a very useful tool for revealing any flaws in your existing IT security architecture. 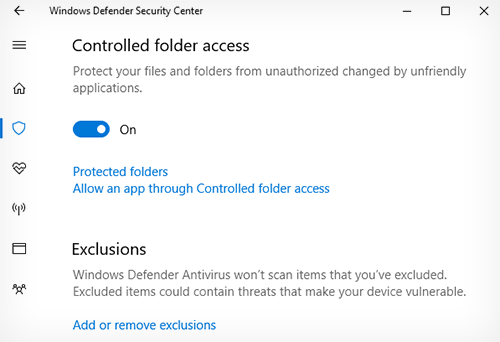 Earlier this year, Microsoft rolled out the Fall Creators Update, which came loaded with – among other things – a brand new Windows Defender component called Controlled Folder Access. 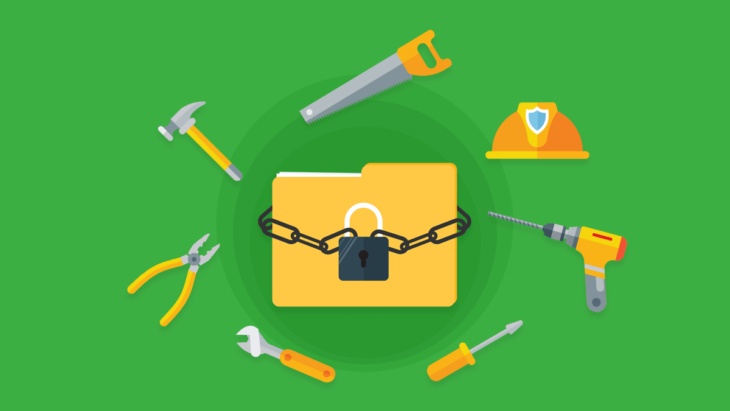 Specifically designed with ransomware in mind, this interesting security feature prevents any non-whitelisted applications from making any changes to certain folders. Theoretically, this means that in the event of a ransomware attack, all your most important files and documents would be safe from encryption. Although Controlled Folder Access can be a valuable layer in your defense system, it does not actively prevent ransomware infections and therefore works best when coupled with a more well-rounded anti-ransomware product. Learn more about Controlled Folder Access (including how to enable it) in our previous blog post. Price: Free for Windows 10 users. As security software developers strive to stay one step ahead of the criminals, we’re seeing the release of many free anti-ransomware products. While these tools can undeniably be effective at dealing with certain aspects of ransomware, protection levels do vary and few are capable of providing you with the well-rounded, multi-layered defense mechanisms you need to keep your data where it belongs – right in your hands. By choosing one (or more!) of the anti-ransomware tools on this list, you’ll be able to reinforce your system’s defences and minimize the risk of becoming a victim of an illegal encryption attack. 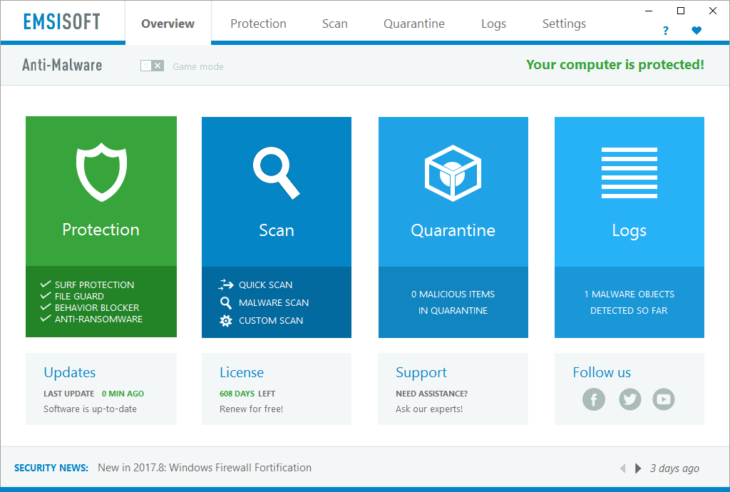 Download your free trial of Emsisoft Anti-Malware and enjoy the peace of mind that comes with knowing your system is protected by industry-leading anti-ransomware technology. Of all the tools out there, which anti-ransomware tool do you use and why? We’d love to hear from you in the comments.